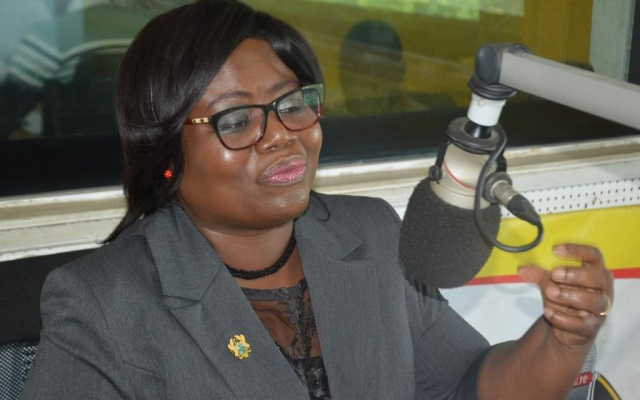 The Director-General of the Criminal Investigations Department of the Ghana Police Service, DCOP Maame Yaa Tiwaa Addo-Danquah, has backed calls for the scrapping of height as one of the requirements for enlistment into the security services. According to her, there are several ways people who do not meet that requirement can be of use to the Police Service and other security services. The Vice Chairman for the Defence and Interior Committee of Parliament, Collins Owusu Amankwaah, last month questioned the relevance of height as a requirement for enlistment into the security services in the country. Speaking to the media, Mr. Amankwaah demanded a review of such a requirement. Speaking on Starr Chat Wednesday, the DCOP Addo-Danquah said she almost missed the opportunity to join the police service because she didn't meet the height requirement. According to her, height as a requirement has become archaic adding that people who do not meet that requirement can be trained to gather information and play other vital roles for the service. “On my personal reason I think it should be cancelled…I think in this era it is not only people who are tall who can be good police officers. Because there are areas where you don't necessarily need height. “Now it is more technology. If you decide you will only go for height you are likely to miss very good materials who because of height wouldn't get the opportunity to enter,” DCOP told host Bola Ray.